The Jean Harlow Blogathon Day One! Today The Jean Harlow Blogathon kicks off and we are off to a roaring start! Thoughtful, imaginative and introspective—everyone is really putting out some beautiful work which just amps up the excitement of what’s in store for the rest of the week. Thanks to all the participants who have jumped on board for this special week of activity! Let’s get this show on the road, shall we? 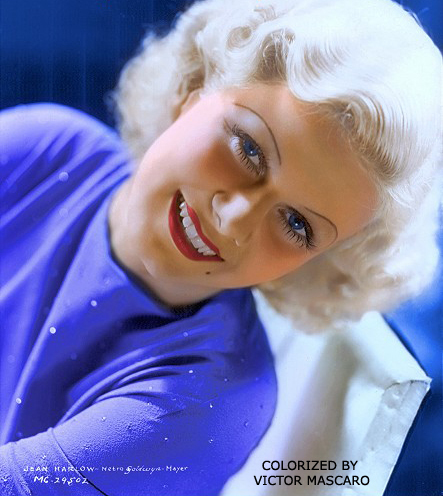 For the centenary of Jean Harlow’s birth, I tried to find a way to commemorate it – especially since this will be part of a Harlow blogathon at “The Kitty Packard Pictorial,” a superb site on Harlow, classic Hollywood and popular culture (https://kittypackard.wordpress.com/). An entry linking Carole Lombard and Harlow isn’t easy. Although they were good friends and were beloved by casts and crews throughout filmland, no picture of them together has ever been discovered – a holy grail among both fandoms. Carole’s first husband, William Powell, later had an intense, but ill-fated, romance with Harlow, and Lombard’s second husband, Clark Gable, was renowned for his steamy romantic films with Jean (although in real life, they were good friends, never lovers). So, what’s a writer to do? Use imagination, that’s what. I’m going to create an alternate universe where Lombard stars in Harlow’s movies, and vice versa. How might these silver screen goddesses have fared in each other’s films? As part of the celebration of her hundredth year, the Max Factor Museum in Hollywood will be hosting a new Harlow exhibit that contains such cool items as her Packard and a mural that once hung in Paul Bern‘s Benedict Canyon home depicting Harlow, Joan Crawford, and a host of other MGM stars as medieval courtiers. It was her trademark, her calling card and, in 1931, the name of a film in which she received third billing. Platinum Blonde had originally been intended as a vehicle for top-billed star Loretta Young but, by the time it was released, the film’s title had changed and changed again until it was an outright reference to pale-haired co-star Jean Harlow. It was not Harlow’s breakout picture, that had come with Hell’s Angels (1930), nor is it generally cited as one of her great classics, but Platinum Blonde was pivotal – it proclaimed her stardom. In 1931, the 20-year-old starlet was still under an oppressive five-year contract with Howard Hughes, producer/director of Hell’s Angels. She had proven her appeal in the film, but Hughes had no projects in the works for her and most Hollywood insiders believed he was mismanaging her career. Harlow’s then-friend/future husband Paul Bern arranged for her loan to MGM for The Secret Six (1931) an underworld drama with Wallace Beery and not-yet-famous Clark Gable. Immediately after, she was loaned out to Universal for an unsympathetic role in The Iron Man (1931), a boxing drama with Lew Ayres. While still on that project, she went back to MGM for retakes on The Secret Six and began work on her next film, this time on loan to Warner Brothers for the gangster classic The Public Enemy (1931), with James Cagney. Her fourth film in five months was for Fox, Goldie (1931), a comedy with Spencer Tracy. Of these films only The Public Enemy was an unqualified hit, and it was a blockbuster, but it was Cagney who became the overnight star…Harlow’s allure was noted, but her performance was widely panned. Van Stanhope (Clark Gable) seems to have it all: he’s a very successful magazine publisher, he’s been very happily married to Linda (Myrna Loy) for three years, and he’s got Whitey (Jean Harlow), the best secretary he could ever want. Most wives would be worried about their husbands having secretaries, who look like Whitey, but Linda trusts Van completely and she has every reason to. At least she trusts him until all the suggestions from friends and family that Whitey must be one of those secretaries finally start to get to her. But Linda isn’t the only one jealous of Van and Whitey’s working relationship. Whitey’s boyfriend Dave (James Stewart) wants to marry her, but she loves her job and doesn’t want to quit to stay at home. When Van decides to take on a new business venture, he has to keep it top secret from everyone, including Linda. Whitey is the only person who knows what’s going on. So when he says he’s been at a club all afternoon one day, Linda does a little investigating and finds out he wasn’t at the club all day, he was with Whitey. Linda begins to fear that all those insinuations were right after all, she has no idea that he and Whitey were working together on the new business deal. Things get even worse when at a company skating party, Linda thinks Van and Whitey look like a little too friendly and she asks Van to transfer Whitey to a new job. Van refuses and Linda eventually decides she’s being ridiculous and Van promises to take her on vacation soon to make it up to her. This weekend I had my thinking cap on to come up with some article ideas, when my friend and fellow Harlow fan Reg Williams pinged me about his efforts to encourage fans to fill Jean’s room in the Great Mausoleum at Forest Lawn Glendale with flowers. If you’d like to participate, contact The Flower Shop at Forest Lawn to place your order. Please note, Forest Lawn’s $3 placement fee will apply. The delivery location is Great Mausoleum, Sanctuary of Benediction, Private Family Mausoleum Room #34, Crypt B. Keep the links coming, everyone! Join in the celebration and email The Pictorial! 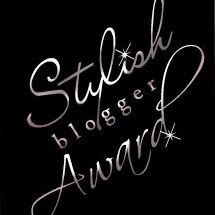 Kitty…kudos for hosting the Harlow blogathon and thank you for your kind words…don’t want to forget to mention that the colorized picture of Harlow in blue is eye-poppingly gorgeous – Victor Mascaro is an artist.